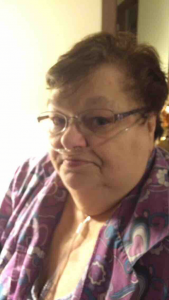 Joyce Houser, 69, of Columbus, died at her home Friday, June 24, 2016. Elsie Joyce Houser was born April 16, 1947, in Columbus, Nebraska to Emil and Elsie(Krca) Semrad. After graduating from Schuyler High School in 1965, she attended beauty college and worked as beautician at Doris Ann's in Schuyler. On August 31, 1991, Joyce married Dennis Houser in Schuyler. Joyce loved cooking and baking and was well known in the area for her pies. Over the years she had worked for many area restaurants and even had her own business at the Wayside in Schuyler. She also was very talented at decorating cakes and was teaching the art to her grandchildren. Joyce was a member of the Butler County Czech Club and was to re-join the Episcopal Church on Saturday, June 25, 2016, at Grace in Columbus. She is survived by her son, Ryan(Mary) Lockner, Genoa, one sister, Judy Davis of David City, two brothers; Emil Semrad, Jr. of Venango, Pennsylvania, John(Peggy) Semrad, Estherville, Iowa, three grandchildren; Natalie Cudaback, Casandra Lockner and Damien Lockner, aunt Kay Sperstadt, Alexandria, Louisiana and uncle Jack(Rita) Krca of Papillion. She was preceded indeathby her parents, son Paul Lockner, husband Dennis Houser, brother-in-law Lonnie Davis and two sisters-in-law; Patty Semrad and Brenda Semrad.